Qt Quick Controls 2 provides a set of controls that can be used to build complete interfaces in Qt Quick. The module was introduced in Qt 5.7. 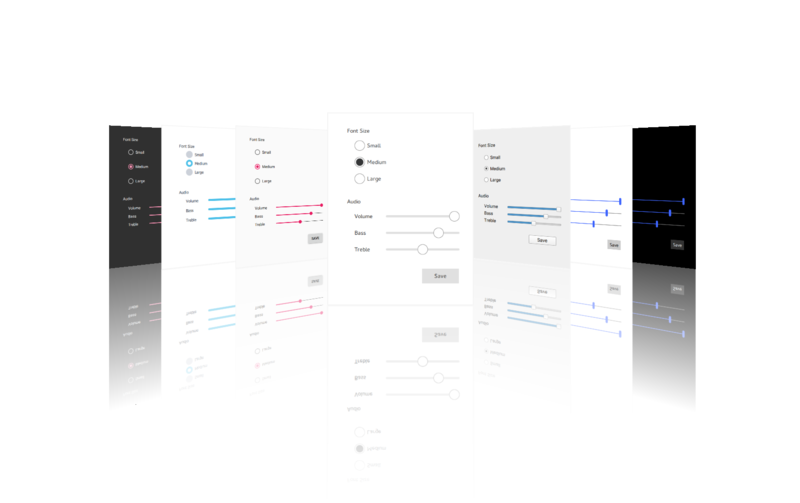 Qt Quick Controls 2 comes with a selection customizable styles. See Styling Qt Quick Controls 2 for more details. When building from source, ensure that the Qt Graphical Effects module is also built, as Qt Quick Controls 2 requires it. The Qt Image Formats module is recommended, but not required. It provides support for the .webp format used by the Imagine style. Qt Quick Controls 2.0 was introduced in Qt 5.7. Subsequent minor Qt releases increment the import version of the Qt Quick Controls 2 modules by one. The experimental Qt Labs modules use import version 1.0. Qt Quick Controls 2 is available under commercial licenses from The Qt Company. In addition, it is available under the GNU Lesser General Public License, version 3, or the GNU General Public License, version 2. See Qt Licensing for further details.